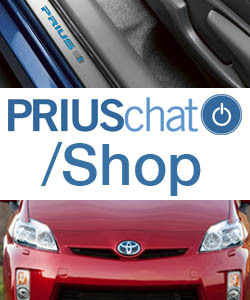 Come discuss the technical ins and outs of the 2010, 2011, 2012, 2013, 2014, & 2015 3rd Generation Toyota Prius and the Hybrid Synergy Drive System. Does the Gen III have passive alarm? Start the car with the laser key? Navi Updates - How often and current? Where to get the part numbers? Max amps for power outlets? Discrepancy between electronic mpg number and "actual" mpg number??? Any harm in filling with 91 gas? TPMS with Torque Pro? Any figure this out? What did you do to ur Gen III Prius today???? Gen 2 Prius Exhaust pipe diameter? Punitive taxes for hybrid owners.